Resident running coach and sports science graduate John Feeney joins us again to share his considerable wisdom! His previous work with us includes getting the most out of your training and avoiding overtraining. He's my go to guy for anything training related! You can follow him on Twitter via @John1_Feeney. Due to the topic this is quite a technical piece so we've included a 'key point summary' at the end. There are several key physiological factors that are thought to influence endurance exercise performance including maximal oxygen uptake (V̇O2max), the sustainable percentage of VO2max that an individual is able to utilise and the energy cost of running (running economy). To improve performance, training for endurance athletes should be structured to enhance at least one or more of these key physiological factors (Coyle, 2007; Jones, 2006; Midgley, McNaughton & Jones, 2007). Training has been described as an organised process whereby the body and mind are exposed to stressors of varied volume and intensity in the hope that adaptation will occur (Bompa & Haff, 2009). Training adaptations to endurance exercise include increases in muscle capillary density (facilitates the muscle’s extraction of oxygen from the blood), mitochondria (oxygen powerhouse of the muscle cell) size and number, a reduction in resting heart rate and an increase in blood and plasma volume. These latter adaptations result in a greater stroke volume (the volume of blood pumped from the heart with each beat) and an increase in maximal cardiac output (the volume of blood pumped by the heart in one minute). The increase in stroke volume is due to the myocardial adaptations associated with the mechanical overload (resulting from the increased blood and plasma volume) of the heart during sustained exercise. Additional adaptations include a reduction in the use of glucose and muscle glycogen (in favour of increased fat metabolism) as well as reduced blood lactate concentrations when the athlete is performing at the same workload (i.e. running pace). As a result of these adaptations, skeletal muscle contractions become more efficient which increase the athlete’s ability to perform over a prolonged period of time (Laursen & Jenkins, 2002). At a muscular level, adaptations to endurance exercise include an increase in the cross sectional area of Type I (slow twitch) muscle fibres and a possible transition from Type IIb (fast twitch) to the more oxidative Type IIa muscle fibre. What happens when you take a break from training? During the course of an athlete’s training career, there are likely to be occasions when training load is significantly reduced or temporarily stops. These may be planned (taper period or post-race breaks) or may be forced on the athlete due to injury. One of the key principles of training is reversibility (Hawley, 2008), and so it is important for the athlete and coach to remember that training adaptations are not permanent. A complete cessation of training or a reduction in training load is likely to lead to a partial or complete reversal of the training induced adaptations which in turn, will result in a reduction in performance when the athlete resumes training (Mujika & Padilla, 2001). The maximal rate at which aerobic resynthesis of ATP takes place is an important determinant of endurance exercise performance (Jones, 2006). VO2max has been defined as the highest rate of oxygen that can be utilised by a given individual during exercise at sea level and for a significant muscle mass (Bassett & Howley, 2000). It has been linked to successful endurance performance (Saltin & Astrand, 1967) and is considered to be a good predictor of performance amongst a mixed ability group of athletes. The VO2max is a product of the volume of blood pumped by the heart in one minute (maximal cardiac output) and the oxygen requirement of the skeletal muscles which exceeds the oxygen being delivered by the blood (maximal arterio-venous oxygen difference). For endurance athletes, it is generally accepted that, at sea level, VO2max is limited by the ability of the cardiorespiratory system to deliver oxygen to the skeletal muscle rather than the muscle’s ability to extract oxygen from the blood (Bassett & Howley, 2000). Coyle et al. (1984) suggested that the reduction in VO2max following a period of detraining takes place in two stages. The first stage is likely to occur within 2-3 weeks and may result in a reduction of VO2max by 5-7% (Coyle et al. 1984; Houmard et al. 1992). This initial decrease is thought to result from a decrease in maximal cardiac output brought about by a reduction in stroke volume (Coyle et al. 1984; Martin III et al, 1986). These changes occur at a ‘central’ level (i.e. at the heart rather than in the skeletal muscle) and so alternative exercises can be introduced to prevent detraining and the reduction in VO2max (Mujika & Padilla, 2001). 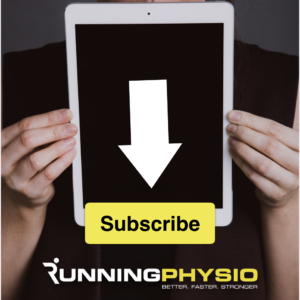 The second stage takes place over a longer period of time (8-10 weeks) and may result in VO2max returning to pre-training levels (Davidson & McNaughton, 2000; St-Amand et al, 2012). The rate of decline and the level at which VO2max subsequently stabilises depends on the training status of the individual (Mujika & Padilla, 2000). The changes occurring during this second stage are more specific to the trained skeletal muscle. Consideration should be given to the introduction of alternative sport specific exercises that involve the same muscle groups without placing additional stress on the muscle/joint. If this is not possible, VO2max can be maintained by using alternative exercises but if these are not sport specific then the athlete will quickly lose aerobic endurance (Mujika & Padilla, 2001). Although VO2max is often used for assessing endurance capability (Jones, 2006), aerobic endurance (or the sustainable percentage of VO2max that an individual can maintain for a given period of time) is seen as a good predictor of performance particularly amongst a group of athletes with similar V̇O2max values. The ability to sustain a very high fraction of VO2max is associated with a number of inter-related factors such as possessing a high percentage of Type I (slow twitch) muscle fibres, the capacity to store large amounts of glycogen and the capacity to utilise fat as an energy source at higher exercise intensities (Bosquet, Leger & Legros, 2002). As mentioned above, long term endurance training is likely to increase the cross sectional area of Type I (slow twitch) muscle fibres and cause a possible transition from Type IIb (fast twitch) to the more oxidative Type IIa muscle fibre. Given the fact that these adaptations take place in response to long term training, Mujika & Padilla (2001) suggest that any subsequent detraining effect on muscle fibres will be dependent on the length of inactivity. Short term detraining (2-3 weeks) is unlikely to result in muscular atrophy (Houmard et al, 1992) whereas longer periods of detraining (8 weeks), may result in more significant levels of muscle atrophy (Leger et al, 2006; Narici et al, 1989) and an increased transition from Type IIb to Type IIa muscle fibres (Staron et al, 1991). During a period of detraining (~3 weeks), there is likely to be a rapid reduction in the level of chemical activity taking place within the mitochondria of the muscle cell (Mujika & Padilla, 2001) and an increase in the respiratory exchange ratio (a ratio for determining the predominant fuel source during exercise). As a result, the body becomes less efficient at utilising its fat stores placing a greater reliance on muscle glycogen during exercise at the same sub-maximal work rate (Madsen et al, 1993; Moore et al, 1987). The ability of the mitochondria to facilitate the aerobic resynthesis of adenosine triphosphate (ATP) may be reduced by up to 28% following a period of complete rest (other than normal day-to-day activities) over a three week period (Wibom et al, 1992). Blood lactate concentration is also an important measure of aerobic endurance. A decrease in blood lactate level, at a given work rate, is usually associated with improved aerobic endurance (Burnley & Jones, 2007). Significant increases in blood lactate levels were noted by McConell et al. (1993) after 4 weeks of training at a reduced volume and intensity. Although VO2max remained unchanged, running performance over 5 km significantly decreased. The authors concluded that training intensity should be maintained during a reduced training period. Progressive significant increases in blood lactate levels over a similar time period (4-5 weeks) were also reported by Neufer et al. (1987) and Coyle et al. (1985). It was also reported that increases in blood lactate levels may stabilise over a more prolonged detraining period (Coyle et al, 1985). Running economy relates to the metabolic cost of running at a steady state sub-maximal speed. The lower the metabolic cost of running, the lower the energy required to move at a given speed and the better the endurance performance. Running economy is an important factor because it is often seen as the best indication of performance amongst an elite class of athletes (Saunders, Pyne, Telford & Hawley, 2004). Running economy has been associated with a number of different physiological, anthropometric, metabolic and biomechanical variables including a high proportion of Type I muscle fibres (Saunders et al, 2004), improved biomechanics and more efficient techniques (Jones, 2006; Saunders et al, 2004), increased muscle stiffness (Saunders et al, 2004) and body height, limb dimensions and body mass (Lucia et al, 2006). Houmard et al. (1992) reported no changes in running economy at 75 and 90% velocity of VO2max following a two-week detraining period. The results of this study indicate that the oxygen cost of running at a specific velocity of VO2max remains the same during a period of detraining. However, the decrease in VO2max and the other metabolic changes mentioned above are likely to mean that an athlete becomes less tolerant when exercising at the same work rate. For runners, sport specific cross training using an elliptical trainer may be a suitable short term when looking to maintain VO2max (Joubert, Oden & Etes, 2011). In this study, the participants took part in an initial 4 week training programme, after which, they were randomly assigned to a run group, elliptical group and a detraining group. The elliptical and run training groups continued to exercise for an additional three weeks at the same frequency (four days/week), relative intensity (80% maximum heart rate), and duration (30 minutes). The third group didn’t take part in any aerobic exercise to demonstrate the effects of detraining. The elliptical training group experienced a 1.5% decline in VO2max compared with a 0.8% decline in the run group and a 4.8% decline in the detraining group. Depending on the initial training status of the athletes, Davidson & McNaughton (2000) reported that deep water running may result in VO2max gains when performed with the appropriate frequency (3-5 days a week), intensity (60-75% of maximum heart rate) and duration (20-60 minutes). However, it should be noted that this study used previously untrained individuals. Therefore the magnitude of the gain in VO2max may be due to the participants’ relatively unfit training state at the beginning of the study. Interestingly, the authors reported no significant difference between the increases in VO2max of the deep water running group and the road running group. This suggests that deep water running may be suitable for runners hoping to maintain VO2max at pre-injury levels. For those runners not able to take part in sport specific exercise, arm cranking may be a suitable way to help maintain VO2max or at least prevent a significant reduction. An interesting study by Pogliaghi et al. (2006) found similar gains in VO2max between an arm cranking group and a cycling group. Although this study was aimed at an older population, the results indicate that the both forms of aerobic training (using different muscle masses – i.e. arms v legs), produced similar improvements in maximal and submaximal exercise capacity. The authors of the study reported that approximately half of the improvements were specific to exercise mode (i.e. improvements in the oxidative capacity of the leg/arm muscles) with the remaining half being due to central adaptations (i.e. increases in stroke volume and maximal cardiac output). In some cases, athletes may be able to simply reduce the workload rather than have a complete break. In a study by Rietjen, Keizer, Kuipers & Saris (2001), trained cyclists performed three weeks of reduced training. The cyclists performed intermittent high intensity exercise or continuous low intensity exercise for 2 hours a day, 3 times a week. The results suggest that athletes may be able to reduce training volume (50%), frequency (20%) and intensity (5% below lactate threshold pace) and still maintain their submaximal and maximal performance level for a period of up to three weeks. The authors reported no differences between the intermittent or continuous training protocols. Although this study was principally looking at tapering strategies, it provides evidence that enforced time off (possible as a result of injury) should not always be viewed negatively provided low intensity exercise can be maintained. There is no recipe for cross-training and it will depend on each individual and their goals. Generally we aim for an intensity between 70-80% of max HR whilst maintaining frequency of exercise at the same level. Maintaining intensity is the key factor for retaining previous training adaptations, or at least, delaying the effects of detraining. Mujika & Padilla (2000) suggest that training volume can be reduced by 60-90% but training frequency shouldn't be reduced by any more than 20-30% in well trained athletes or 50% in less well trained athletes – this is very similar to tapering strategies. As I mentioned earlier, I think the take home message is to make any cross training as sport specific as possible in order to reduce the negative impact on aerobic endurance. However, if this is not possible, VO2max can still be maintained but aerobic endurance will decrease. Bassett, D. R., & Howley, E. T. (2000). Limiting factors for maximum oxygen uptake and determinants of endurance performance. Medicine & Science in Sports & Exercise, 32(1), 70-84. Bompa, T. O. & Haff, G. G. (2009). Periodisation: Theory and methodology of training (5th ed.). Champaign IL: Human Kinetics. Burnley, M., & Jones, A. M. (2007). Oxygen uptake kinetics as a determinant of sports performance. European Journal of Sports Science, 7(2), 63-79. Jones, A. M. (2006). The physiology of the world record holder for the women’s marathon. International Journal of Sports Science & Coaching, 1(2), 101-116. McConell, G. K., Costill, D. L., Widrick, J. J., Hickey, M. S., Tanaka, H. & Gastin, P. B. (1993). Reduced training volume and intensity maintain aerobic capacity but not performance in distance runners. International Journal of Sports Medicine, 14(1), 33-37. Narici, M. V., Roi, G. S., Landoni, L., Minetti, A. E. & Cerretelli, P. (1989). Changes in force, cross-sectional area and neural activation during strength training and detraining of the human quadriceps. European Journal of Applied Physiology, 59, 310-319. Great post, and very important for runners, coaches, and rehab professionals alike. Love the first ref, couple of awesome instructors as well.